Dulce de leche, from The Food of Argentina. Photo by Rachel Tolosa Paz. 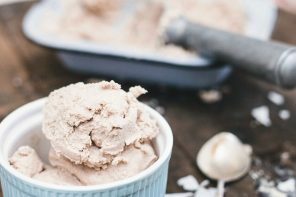 No book on Argentinian food would be complete without a recipe for dulce de leche, the one thing that Argentines living outside of Argentina miss the most. This thick, rich coffee-coloured sweet is positively heavenly! Dulce de leche is traditionally made on the stovetop in Argentina, and you’ll find both this and a cheat’s version in the book. If making it on the stovetop, you have to watch it at all times as it catches easily. If the lowest setting on your stovetop isn’t low enough, you might need to use a heat diffuser to avoid the mixture from catching and burning. Oven-baked dulce de leche requires only one ingredient – condensed milk – and is more convenient to make. Heat the ingredients in a heavy-based saucepan over high heat. Just before the mixture comes to the boil, reduce the heat to very low, ensuring that the mixture maintains a very gentle simmer (you may need to adjust the heat accordingly). Cook, stirring often, for about 1 hour, in which time the mixture will darken and thicken. From this point, stir the mixture frequently to avoid it catching and burning. Continue stirring for 20 to 30 minutes, until the mixture is thick and toffee-coloured. To test if the dulce de leche is ready, place a spoonful on a cold saucer or plate. Allow it to cool and thicken, then run your finger through the centre of the dulce de leche. If the mixture doesn’t pool back, it is ready. Transfer to a bowl and allow to cool completely. Preheat the oven to 180°C (350°F). Pour the condensed milk into a 1 litre (4 cup) baking dish and cover with foil. Sit the baking dish in a larger dish and pour enough boiling water to come half way up the sides of the dish with the condensed milk. Cook in the oven, topping up with boiling water to maintain the level, for 2 hours, or until the condensed milk is toffee-coloured (the top will be darker). Carefully remove from the oven and stir to combine while still warm. Set aside to cool completely. 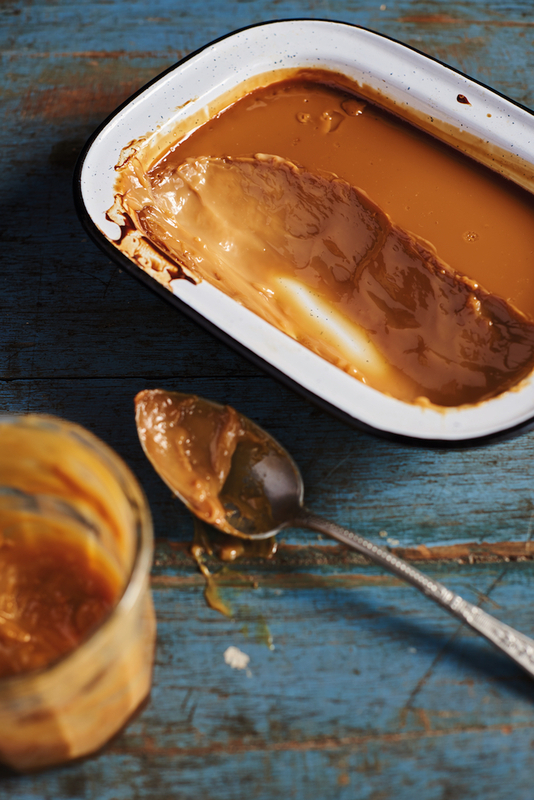 Transfer the dulce de leche to a very clean and dry glass jar. It will keep in the fridge for 2 to 3 weeks. 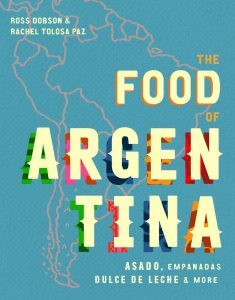 Recipe from The Food of Argentina: Asado, empanadas, dulce de leche and more, by Ross Dobson and Rachel Tolosa Paz, published by Smith Street Books. Recipe and photo reproduced with the publisher’s permission. Photography © Rachel Tolosa Paz; Food styling © Vanessa Austin. I’m not sure that method’s recommended anymore! It sounds like the “Caramel Sauce” you could get at the Cahills Restaurants in the 70’s. IT was Heavenly!! That would have been a treat, Lesley.